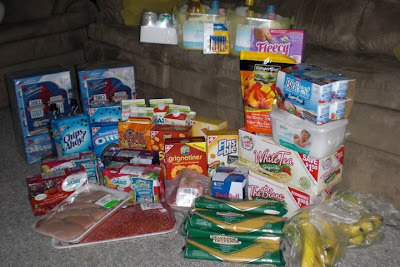 Shopping June 30th 2012 using Coupon Match-ups - Frugal Mom Eh! 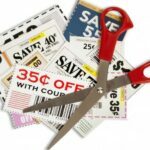 In my previous post I wrote about using Coupon Match-ups. Here is an example what these can do for you with even a few coupons! Pretty Good considering all the meat we got, I just wish stores would show the regular prices too as I know my savings were actually considerably higher! Yes! 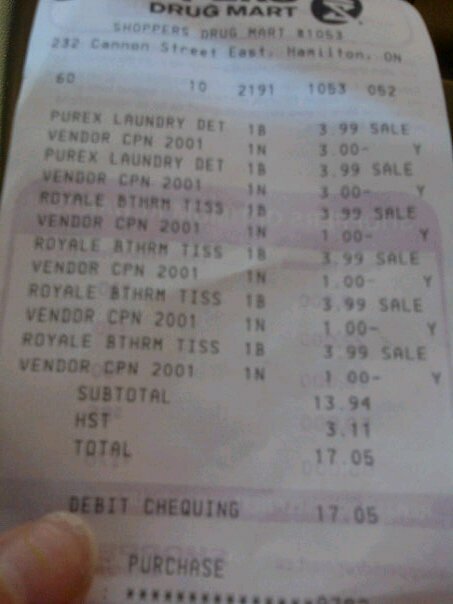 That is two jugs of Laundry Detergent and 4 packages of 24 roll Royal Toilet Paper all for $17.05 after tax! 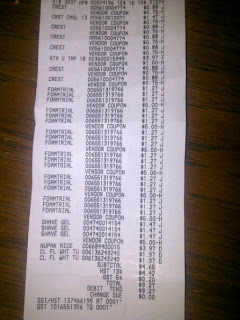 If I remember correctly there was a limit of 4 on the toilet paper otherwise I would have bought even more. It was an amazing deal! 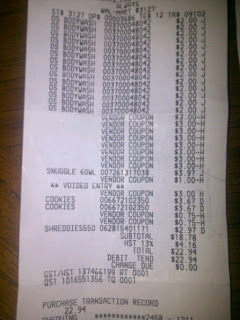 This one is for 14 Old Spice Fiji bodywash, 1 jug of fabric softener, 1 box of shreddies and two packages of cookies. 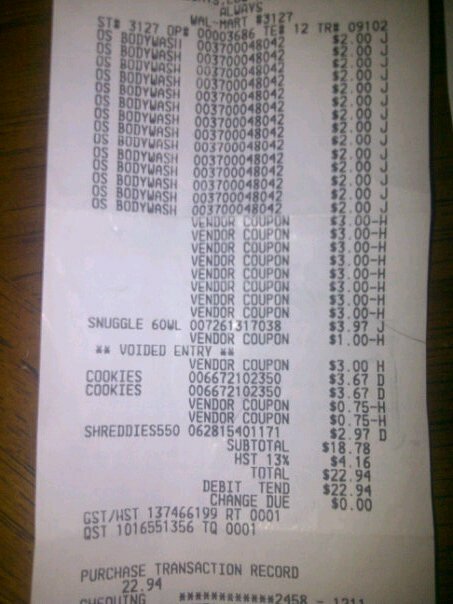 The cookies weren’t on sale so that is a bad example but the Shreddies included coupons for Glad products so at 3$ a box was a great deal. 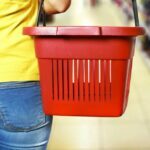 This one shows how you can use “money maker” items combined with match-ups and price matching at Walmart to get other items for REALLY cheap! I paid 9.27$ after tax for ALL those items. 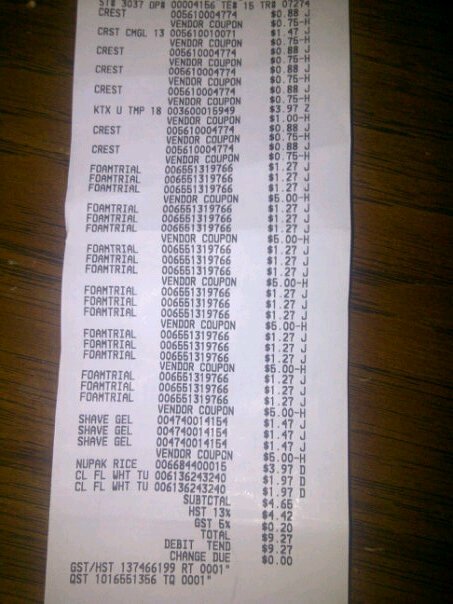 I ended up bringing the shaving cream with me to Cuba to give to the workers there as these items are nearly impossible to get.